Relate: The distance from the head to the heart is about eighteen inches. My stride is about twenty-seven inches so for me that is only about two thirds of my every step. As close as it physically may be, sometimes that distance seems like an eternity. It is a distance that I push long and hard and I train and discipline my mind to cross. Truth is, I know that I am free but sometimes, I don’t really know it. There is a knowledge that I have been set free but I don’t truly feel free. I am too proud. I am too apathetic. I cannot stop myself from lying, or gossipping, or cheating, or ________. You fill in the blank. I’m pretty sure each and every one of us our own areas of weakness. We have our own areas of struggle. The issues I deal with might not be the same yours or his or theirs, but we each have those issues and they are all legitimate struggles. The war and the fight is the same. 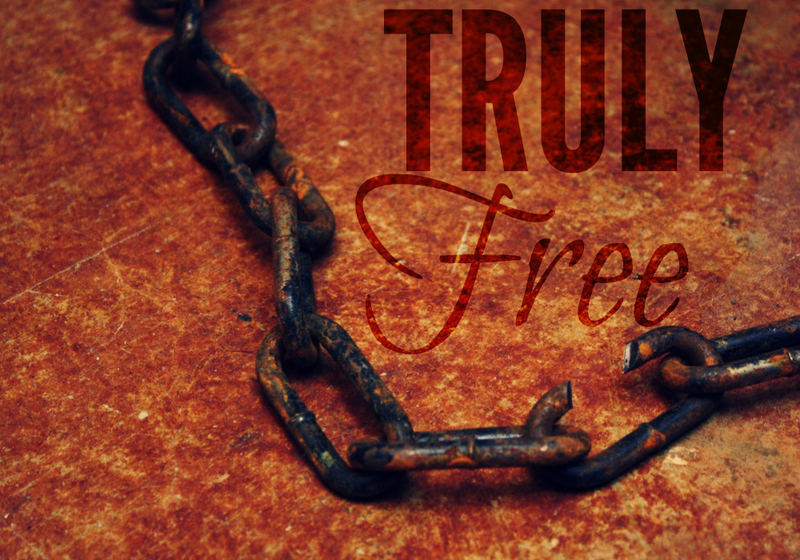 Have we been set free through Christ? Then why aren’t we truly free? React: The difference between principle and practise is one of about eighteen inches. It is also the distance between time eternity. I have to spend the night wrestling even though the blessing has already been assured. (Genesis 32) I have go to war for the land even though the boundaries have already been defined. (Joshua 14) I have to fight for my freedom even though it has been gifted to me. There is a “now” that I possess as well as a “not yet” that I am striving towards. It is the grace of God that allows my to participate in the work of sanctification so that I do not take His mercy for granted. God, thank You for Your freedom. No matter how much my heart feels as though it still has chains wrapped around it keeping me from You, my head understands that those chains have been broken. Help me to push and strive and work and discipline myself into an understanding and a practical fleshing out of the freedom that I have been given. Even as I do, help me to rest in the truth that there is no need to strive. You have both won the victory for me and fought the battle in my stead. I am now free. Help me to live truly free.